Ever since my friend prepared me jalapeño mac n’ cheese (which was absolutely phenomenal by the way, and I hope to have that recipe very soon, *wink wink* Nicole. 😉 I have been craving jalapeños and pasta with some sort of creamy sauce. 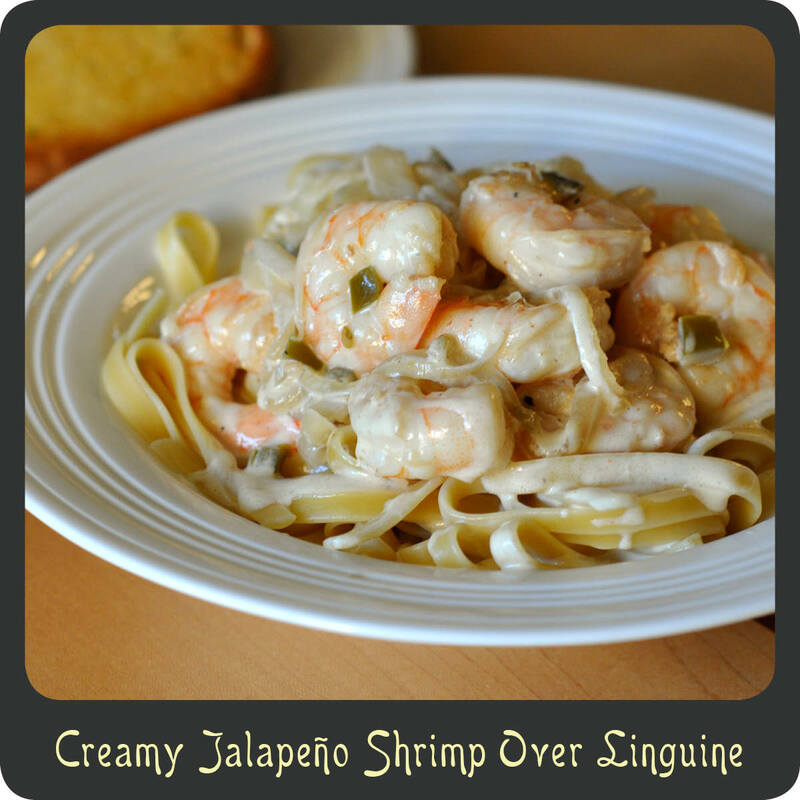 Then low and behold I stumbled upon a recipe on another blog for shrimp in jalapeño cream sauce. That blogger made her recipe and served it over rice but I knew I wanted to put my own twist on it and go with a pasta. All I have to say is AWE-SOME! Think of this as a decadent jalapeño popper but as a main course. It wasn’t over the top spicy but it just had the perfect little bite to it. And you know what else I loved about this recipe? It took barely 20 minutes from start to finish! It was exactly what I needed after my insanely busy day. Even if you are sitting there all sketpical about this recipe, open your mind and give it a try. It may sound weird but oh heavens, it is delicious! Add 2 tablespoons of the butter a large skillet over medium-high heat. Melt the butter until it turns a light brown making sure not to burn it. Add the shrimp to the pan and sauté for 5 minutes until the shrimp are firm and pink. Transfer the cooked shrimp to a bowl and cover with foil to keep warm. Add the remaining two tablespoons of butter to the skillet and melt. Place the sliced onions in the skillet and cook over medium high heat until tender, about 4 minutes. Add the wine and bring to a boil. Cook down the wine for about 4 minutes. Add the cream and chopped jalapeños and bring to a simmer. Reduce heat to medium low and simmer uncovered for about 5 minutes or until reduced by one-third. Stir in the pickling juice and sour cream until well combined. Season sauce with salt and pepper and add the shrimp back to the pan. Allow shrimp to heat through, about 3–4 minutes.